Fine wine, finer food and a country that has cycling in its blood. Italy is one of nature’s masterpieces, with extraordinary natural diversity allowing you to enjoy a variety of cycling. From the notorious passes of the craggy Dolomites to the glacial lakes of Como, Maggiore and Garda, you can ride through magnificent landscapes. 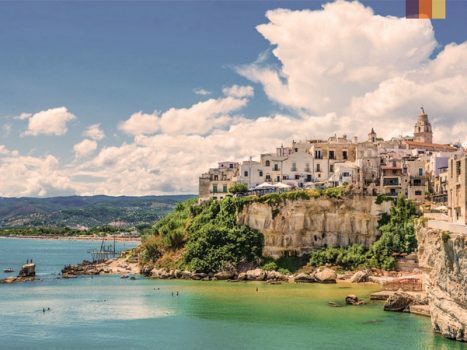 Take a trip south into Tuscany and enjoy the rolling Chianti hills or head into Italy’s boot and explore traditional trulli and whitewashed medieval towns in Puglia. This country stirs the soul and is one of the best cycling destinations in the world. 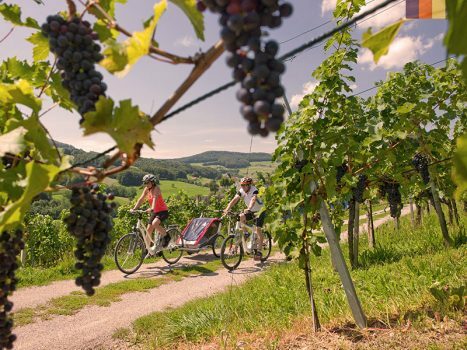 Cycling along the Italian Prosecco Route. The famous wines and 'Grappa' liqueurs are incredible, as are the scenic rides through vineyards and villages. Cycling in Puglia, in the south east of Italy, is ideal if you're looking for great food along the stunning Adriatic coast. 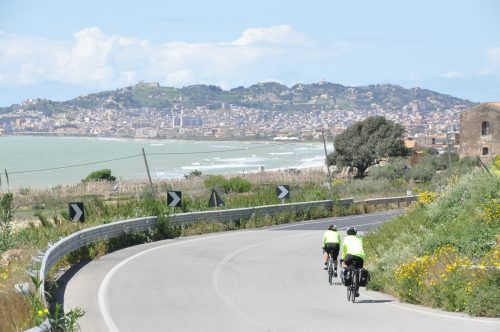 The smooth coastal cycling on our Sicilian Cycling Holiday. An ideal trip for all levels of riders with beautiful views throughout. Italy is a great place to spend a family cycling holiday. The variation in landscape means riders, experienced or not, can choose how far and how high they want to climb, there’s really something for everyone. Our Luxury Tuscany by Bike Holiday is perfect for families who want to combine relaxing accommodation with stunning scenery and flexible cycling routes. Each night you’ll be placed in a beautiful hotel amongst the rolling countryside of Chianti, in the busier by equally charming city of Florence or somewhere else in the Tuscany region. We recommend spending 8 nights exploring the area. With an average of 60km per day, a distance that is fully adjustable, you will become immersed in the area, discovering new, delightful places to eat with your family. Riding roughly the same distance, you can Explore Puglia, the Heel of Italy. This trip takes you through traditional medieval towns and along the vibrant Adriatic coast, guiding you to the best restaurants for you and your family to enjoy in the evenings. What makes Love Velo unique in comparison to other cycling travel companies is the adaptability of our cycling holidays. Whether you're cycling on a budget or money isn't a factor, all you have to do is let our experience team know and we'll tailor any of our holidays to suit your requirements. If you're looking for a cheap cycling holiday then the Riccione and the Adriatic holiday is perfect. From just £375, you can enjoy 4 nights in the region. You'll stay in the perfect location to head out and ride the famous Nove Colli or 'the Nine Hills'. If you prefer to ride the shorter routes then this is also an option, making this trip perfect for seasoned riders and less experienced cyclists alike. With great bike hire, airport transfers, accommodation, routes, meals and emergency assistance all available, this is the perfect cycling holiday if you're on a budget. The Maratona D’Les Dolomites is one of the most famous cycling sportives in the world and our favourite event. As one of the sportives official tour operators, we can guarantee your entry to next years event. We will also organise your accommodation, transfers, meals and guided practice routes before the big day. The 5 day trip is loved by everyone who takes part and you can guarantee your entry to next years event by putting down a fully refundable £200 deposit with us – we’ll take care of everything else. You’ll climb the Passo Campolongo for 5.8km at a 6.1% gradient as well as Passo Sella for 5.5km at a 7.9% gradient. These are two of the best climbs of the trip however, it is the whole packagae that makes your Maratona experience so good. If you’re a seasoned rider and would prefer to go on a self guided holiday then we love our Cycling Through Chianti Holiday. Whilst we have recommendations regarding the best routes, places to stay and places to eat, this trip is fully flexible and we’d love to work with you and organise the best holiday possible. You can choose to ride longer than the 60km each day, or shorter, just let us know when you enquire. Whilst the Nove Colli offers incredible climbs, it's hard to look past the Maratona and the Dolomites as the best climbing destination in Italy. The Nove Colli offers the Barbotto climb, 5.5km at 6.9% but this is nothing compared to the selection in inspiring climbs you'll come across on the Maratona d'les Dolomites. With the Campolongo lasting 5.8km at 6.1% and the Passo Pordoi lasting 9.2km at 6.9%, its hard to look further than this route as the best for climbing in Italy (and that's only mentioning a few!). We love sending customers to the Maratona as we know they will come back having enjoyed an extraordinary cycling holiday. Click here to sign up to the 2019 Maratona and guarantee your spot with a fully refundable £200 deposit. All of our routes in Italy are perfect for groups of friends and this country is certainly one of our most popular for large bookings. With multiple destinations to choose from, you can be sure that you’ll find something for each group member on your holiday to Italy and, as we can tailor make each trip, we will be more than happy to accommodate each individual member to ensure they are getting the experience they want, whether that involves more climbing, luxury pools or great places to eat and drink. Our Venice to Croatia Holiday is undeniably an outstanding trip. As is commonly known, Venice is a magnificent place to explore, as is the south coast of Italy and the west coast of Croatia. This trip takes you through the beautiful countryside, towards famous cities and towns and along the rolling coast. With different cycling distances each day, your group can choose how much riding they want to do and relax if they’d prefer a day off. 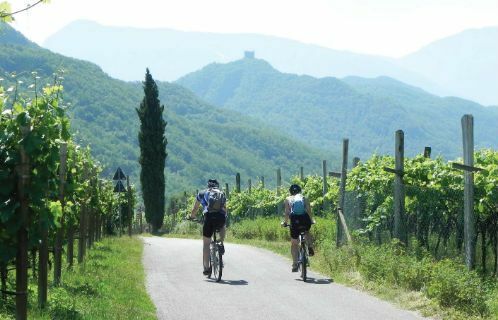 We also recommend looking at Cycling the Prosecco Route, especially if you’re travelling with an older group of friends. This trip is perfect for wine lovers and those who love the rural countryside. You’ll visit picturesque country villages and ride alongside the towering Alps before staying in accommodation that is perfectly tailored to your requirements. 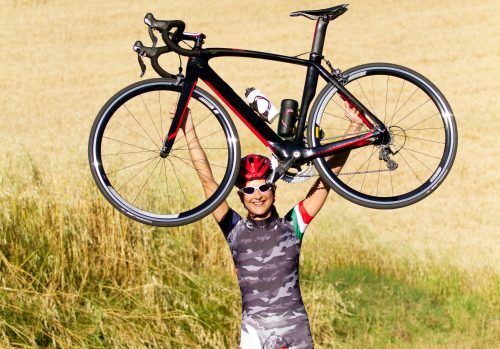 Our favourite base for an Italian cycling holiday has to be Tuscany. The blend of luxurious countryside and famous, captivating towns, makes for a perfect holiday experience. We have great links with the area so we are able to tailor your holiday to the finest detail depending on your expectations. You could choose to spend short days on the bike in luxury accommodation at the Paradu Eco Resort, exploring the region and enjoying the relaxing beach which is just a stones throw away, or you could ride around Tuscany, staying in different accommodation each night. On the Florence and Tuscany by Bike Holiday, you will be introduced to the highlights of the area over your the 7 nights. San Gimignano, the UNESCO World Heritage Site, is a particular popular spot whilst Florence's beauty is unrivalled. You'll find something for everyone in this region, making it the perfect hub for an Italian cycling holiday. One of the highlights of cycling in Italy is seeing San Gimignano, the medieval hilltop town, on the horizon as you cycle through Tuscany. Once you reach the top, the views over the vibrant countryside are unique to Italy and provide you with an incredible photo opportunity. Also known as the ‘Town of Fine Towers’, you’ll find there are incredible places to eat and grab a coffee in San Gimignano. 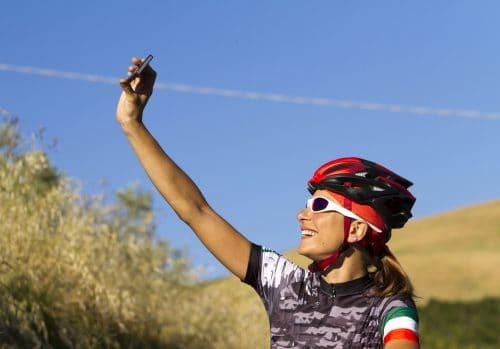 Spend some time exploring the town (and taking plenty of pictures) before riding back down and continuing your Tuscany cycling holiday. 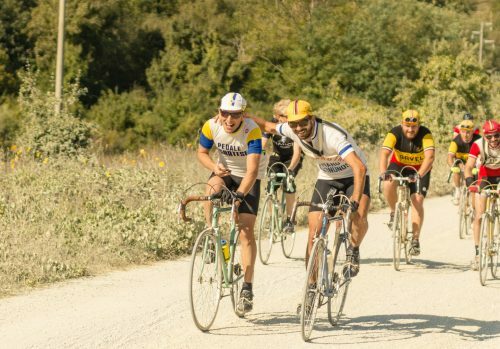 The trip to San Gimignano features on many of our Italian holidays – including Florence and Tuscany by Bike, Cycling through Chianti and Luxury Tuscany by Bike – as we love cycling around the area and witnessing the views from the top so much. Why Travel to Italy with Love Velo? Italy hosts an incredible selection of different rides, places to stay, landscapes and coastal areas. We've made it a priority of ours to make sure you can enjoy the highlights of the country without the hassle of spending hours searching for accommodation, transfers, routes etc. When you book an all inclusive cycling holiday with Love Velo, you can be confident that you will enjoy your stay, however long you decide to spend in Italy. From the iconic mountains on the Maratona to the vibrant, peaceful countryside in Chianti, there's really something for everyone. Don't hesitate to give us a call on 0207 157 1519 or email info@lovevelo.co.uk if you're interested in a trip to this incredible country. If you're still not sure what it is you want then our cycling experience team will be more than happy to talk through your options and find the best holiday for you. We've created some really great holidays in Italy. Have a read of our reviews and see for yourself what all the fuss is about!